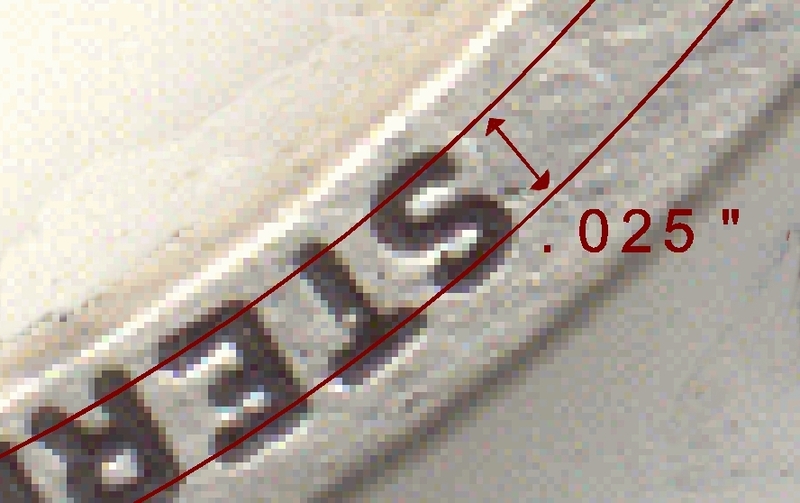 Do not include the bevel when measuring. This is how all stamps are measured. The deeper it’s impressed, the larger it gets (to a point, there’s usually .010-.012″ per side in bevel). It is sometimes better to give us a length or an area you need to fit, we can determine the height needed. Our stamps are custom made to any size you require.